Le Harfang: In The Uniqueness of Western Civilization, you talk about history revisionism, a multiculturalist approach to history. Please, tell us more. Ricardo Duchesne: Multicultural revisionism is essentially an effort to rewrite the history of the world in such a way that Western Civilization comes to be seen as just one more civilization among many others. Multicultural revisionism dominates current history writing. It roots go back to the Marxist emphasis on the working classes, their material conditions of life, and their struggles against the exploiting elites. This emphasis evolved into a preoccupation with the "social history" of everyday humans, not workers and peasants only, but the faceless masses generally, who would now be given faces and concrete histories; migrants, foot soldiers, housewives, a whole host of "minorities" neglected by traditional historians, gays, transsexuals, lesbians, children, blacks, etc. This is an egalitarian approach that came to downplay great individuals, or, actually, great men, since almost all the greatest personalities in history have been males. Academics today feel uncomfortable letting their university students (the majority of whom are now females) know that practically every great philosopher, scientist, poet, innovator, or simply, everyone great in the Arts and Sciences, has been a male. And they feel even less comfortable teaching their increasingly multiracial classrooms that these males were overwhelmingly European. 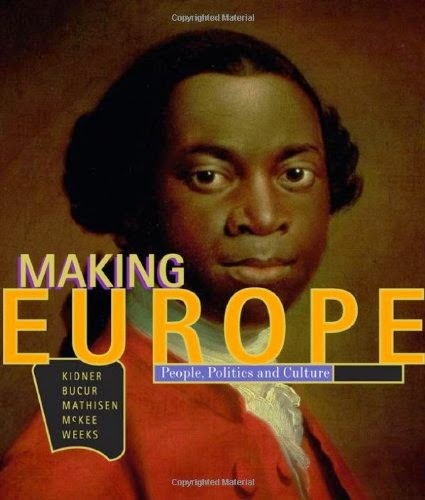 They rather talk about the harmful wars and colonial exploits of European males; and while universities cannot ignore altogether the philosophical and scientific achievements of Europeans, otherwise they would have little to teach, the emphasis tends to be on the "progressive" evolution of [European] ideas, which teachers prefer to frame as the ideas of "humans". The emphasis is also on how these ideas need to be improved upon through further "critical thinking". History, in other words, is seen to culminate in the ideas of the cultural Marxist professor. The very notion that Western Civilization was uniquely more creative than the Rest belies the everyday plainness and egalitarianism academics lecture about. Ever since the eighteenth century, Europeans thinkers, Montesquieu, Voltaire, Hume, and Adam Smith, have noted certain crucial differences between the West and the East. One of the most salient contrasts they noted was Europe's "genius for liberty" and Asia's "despotic" character. Increasingly, or in recent decades, the so-called "rise of the West" debate has been reduced to the question why Europe industrialized first, or, more broadly, why modern science and industry first emerged in Europe. Historians have gone back in time to ancient Greece or medieval times to answer this question, but essentially the exceptionality of the West has been reduced to why the West rose to industrial and scientific dominance in modern times. In The Uniqueness of Western Civilization I argue that multiple divergences, successive revolutions, and continuous creativity are the basic peculiarities of the West since ancient times. Within every generation one finds individuals searching for new worlds, new religious visions, and new styles of painting, architecture, music, science, philosophy, and literature — in comparative contrast to the non-Western world where cultural outlooks persisted for long periods with only slight variations and revisions. Among the numerous sources I employ is Charles Murray's, Human Accomplishment. Pursuit of Excellence in the Arts and Sciences, 800 BC to 1950, where we are informed, through meticulous statistical analysis, that ninety-seven percent of accomplishment in the sciences occurred in Europe and North America from 800 BC to 1950. We are also informed that in the Arts Europe alone produced a far higher number of great works than the rest of the world combined. More recently, I observed that around ninety-five percent of all explorers in history were European. It is my claim that the ultimate roots of this creativity should be traced back to the aristocratic warlike culture of the Indo-Europeans. Well, everything about this interpretation runs counter to the multicultural obsession with egalitarian diversity; how could it be that the highest achievements of mankind were rooted in the culture of aristocratic warlike Indo-European (aka Aryan) males! Don't expect any funding for such a project. Fortunately, humans tend to appreciate, or, at the least, respect greatness even if they don't understand it, and so my students (mind you I teach in a mostly Anglo-ethnic university) have been quite welcoming of these ideas. Le Harfang: You mention that in regards to history, there is a blatant double standard when it comes to treating Whites and non-Whites, can you give an example? RD: Since Europeans have been the most successful imperialists and colonizers, as well as the progenitors of all the ideas critical of these activities, they have been condemned far more by "critical thinking" Whites for these activities. Non-Whites are seen as victims; in fact, many today argue that non-Whites have every reason to migrate into and takeover White countries as a measure of justice for what they suffered under European colonialism. At the same time, the imperialistic activities of non-Whites are condemned far less, or seen as examples of their vitality and creativity. Over and over again, one encounters Western-educated historians celebrating the empire-making glories of the Mongols, Chinese, Zulus, and Aztecs. These same historians will reprove or cynically portray the imperial activities of the Spaniards, the French and British. Having said this, I don't accept the view that all powerful countries and empires have been equally inclined to engage in expansionary activities against their neighbors. Modern China did engage in colonial activities, extracting vital resources from adjacent peoples and lands; nevertheless Europeans were an exceptionally warlike people in a deeply rooted way, going back to their prehistoric days as Indo-European horse-riders and pastoral peoples. Europe produced more conquerors than any other civilization, as well as explorers; in contrast, Chinese imperialism, for example, was mainly "demographic", driven by mass population movements, leading to the gradual colonization of non-Chinese lands by Chinese migrants seeking new frontiers for survival; we don't have too many records of great Chinese conquerors crossing seas and oceans in search of glory as we do in the case of Europeans. There is no denying that other peoples, who came from the steppes like the Turks, Mongols, and Huns, were successful warriors in the conquest of lands. But overall, the Europeans were the most successful in the long span of history, creating one empire after another, exploring, discovering, and imposing their will across the whole world. But the same aristocratic libertarian spirit that drove Europeans towards the highest, the noblest, and the heroic in warfare, also led them to value individuality and freedom; hence the "rise" of the West cannot be abstracted from the special history of the Greek and Roman assemblies of citizens; the parliaments, municipal communes, universities, and estates of the medieval era, the reading societies, salons, journals and newspapers of the Enlightenment; the political parties, trade unions, and nationalist groups of the 19th century. This is the tragic character of European history, and it is no surprise that the Greeks invented tragedy as a literary form. Everything great in this world has come through immense hardship and endurance; those individuals who reached the highest peaks did so through sacrifice and usually short lives. The development of aristocratic individualism into democratic individualism is a long complicated history. The modern West is the only civilization to have nurtured, recognized, and protected the rights of all individuals to self-expression, freedom of speech, religious dissent, and representative bodies, as well as to show understanding and appreciation of other people's cultures while challenging its citizens to revise/reform those values of their society seen as incompatible with the ideal of individual self-determination. This emphasis on subjecting every norm and institution to the "universal" standards of reason has nurtured the illusion that we Westerners can break away from our own history, ethnicity and culture. We think that our liberal values belong to humanity and can be cultivated throughout the world, if only we allow and encourage the rest of the world to practice liberal democracy, and create multi-racial societies in which everyone can be an individual with equal rights. There is a blatant double standard in that we have set ourselves up as the ones who must abide most strictly by the standards of universal brotherhood, at the same time that we don't expect other cultures to abide by these standards in the same degree, since we are (explicitly and implicitly) assuming that they have different standards, which should also be protected, even if these non-Western standards violate the very liberal standards we demand upon ourselves. We don't expect Japan, South Korea, or Mexico to practice immigrant multiculturalism; we understand their wish to remain different, to protect their particular traditions. But when White Europeans object to immigrant multiculturalism in their own homelands, they are accused of xenophobia and intolerance. They are told: "Why do you dislike diversity, the different ethnicity of others; they are just like you in wishing to join your liberal democratic society, which grants equal rights to every one regardless of race and religion. You are violating the principles of liberal democracy in objecting to immigration; and liberal democracy, by the way, also recognizes the minority or group rights of immigrants; they have a culture and you have no business expecting them to relinquish it." It is really a pile of contradictions and double standards. What Westerners need to realize is that liberal democratic values are uniquely an invention of Europeans, and that these values cannot be so easily extended to the world or "humanity". Immigrant multiculturalism will eventually destroy these values as Europeans are reduced to a minority, undergo miscegenation and lose their ethnic identity forever, to become mere products of the mass media without any cohesive traditions, memories and histories holding them together as a people with their own visions. Le Harfang: There is a theory, supported by thinkers like Claude Lévi-Strauss that basically says that if Europe was so advanced as compared to the other civilizations, it is mostly an accident. Do you agree with this thesis? RD: Egalitarians can't stand the reality of Europe's unsurpassed achievements. They will do whatever they can to avoid this reality; some "educators" simply hide it from students, others marginalize it, misinterpret it, or explain it as phenomena that did not happen in Europe or was not achieve by Europeans alone, but by the "world connected". Claiming that it was an "accident" is one of the most often used discursive strategies. Kenneth Pomeranz's argument (which is not original to him but quite common) is that England industrialized first because it was simply the lucky beneficiary of resources obtained from the Americas and of abundant sources of coal. Columbus accidentally discovered the Americas, and from then on, we are made to believe, Europeans/British came to enjoy "extra" earnings, cheap tropical goods and cheap slave labor. They convey to students an image of Europeans as lazy masters collecting easy earnings from the sweat of non-Europeans. They confuse a moral argument — the excessive exploitation of natives and blacks — with the more complicated and far more difficult question: how did Europeans manage in the first place to impose themselves throughout the world? The problems with this way of thinking are numerous: i) the earnings from the Americas were real, but on their own they don't amount to much as compared to the earnings obtained from the domestic industries and workers in Europe, the required navigational and marketing skills produced by Europeans, the required institutional settings in Europe and other domestic contributions. Spain colonized large tracts of land, but did not industrialize; only England (and France to a lesser extent) had substantial colonies, yet the rest of Europe (Germany, the Nordic countries, Switzerland) also industrialized. China enjoyed its own territorial bonanza after the 1400s but did not industrialize. An even bigger problem with this accidental view is that Europe was not just unique in experiencing an industrial revolution; it was also unique in the development of modern science, without which the industrial revolution, which came to include more than the spinning jenny and the steam engine after the 1850s, would not have happened. So, the accidental theorist would have to show that the entire Newtonian project, involving numerous original scientists throughout Europe, was a sequence of accidents. The Greek "miracle", the immense achievements of the Romans, the medieval scholastic method, the medieval invention of universities, the printing revolution, the Renaissance, the list is endless, would have to be accounted for as mere accidents. But this is the point, the West was creative on a continuous basis across all levels of social life, and it is this pattern of creativity that requires an explanation. Accidents always play a role in shaping, timing, coloring events, but the persistent creativity of Europe cannot be framed as merely accidental. They say Columbus "stumbled" upon the Americas; well, no sooner did he sight the "West Indies" in 1492, one European explorer after another came forth seeking glory. In 1497 John Cabot secured the support of Bristol merchants for a voyage on which he discovered Newfoundland and Nova Scotia. Between May 1499 and June 1500, Amerigo Vespucci navigated up to the coast of Guyana, and then on May 1501 sailed again from Lisbon to Brazil. By the 1520s, the Spanish and other navigators had explored the entire eastern coast of the two Americas from Labrador to Rio de la Plata. From 1519 to 1522 Ferdinand Magellan, a Portuguese, led the first successful attempt to circumnavigate the earth through the unimagined vastness of the Pacific Ocean. There was so much more, including a cartographic revolution, persistent explorations of the whole planet; was it an accident that up to 95 percent of all explorers in history were European? Le Harfang: Is there any stigma or taboo when discussing Western civilization in the academic world? RD: A recent study, The Vanishing West, 1964-2010, by the National Association of Scholars, observed that the Western Civilization history course, virtually a standard curriculum offering 30 years ago, has disappeared from American colleges; today, only two percent of colleges offer Western Civilization as a course requirement. The curriculum is now heavily multicultural and dominated by cultural Marxists. The history of Europe is undergoing a major re-interpretation in the name of a world history that is "For US All", that is, a history that portrays all humans as members of the same world, interacting and creating their history together, holding hands and singing "We are the World". Europe and Asia are now regularly portrayed as "surprisingly similar" in their cultural, economic, and scientific know-how as late as 1750/1800. Academics are even instructing their students that Europeans don't inhabit a continental homeland independently of Asia and Africa. My application for grants are rejected on the grounds that "Europe" cannot be seen in isolation from Africa and Asia. The one thing that stands out about Europeans was the "windfall" profits they obtained from the Americas, the "lucky" presence of coal in England, and the blood-stained manner they went about creating a new form of international slavery combined with "scientific" racism. Only a handful of soon-to-retire admirers of the West remain. Even the Enlightenment, always viewed as a European/French phenomenon is now enduring a fundamental revision as a movement that was global in origins and character. This is the view expressed in a recent article, Enlightenment in Global History: A Historiographical Critique (2012), by Sebastian Conrad. This is not an isolated paper, but a "historiographical" assessment based on current trends in the global history of the Enlightenment. The article was published in The American Historical Review, the official publication of the American Historical Association, and since 1895 a preeminent journal for the historical profession in the United States. Conrad calls upon historians to move "beyond the obsession" and the "European mythology" that the Enlightenment was original to Europe. Conrad's "critique" is absurd; a demonstration of the irrational lengths otherwise intelligent Europeans will go in their efforts to promote egalitarianism and affirmative action on a global scale. The ploy to rob Europeans of their heritage is no longer an affair restricted to squabbling academics looking for promotion, but has become an established reality across every high school and college in the West. The uniqueness of Europe stands like an irritating thorn in the march towards immigrant multiculturalism. The greatness of the West does not fit in with the planned transformation of European nations into places inhabited by deracinated citizens without ethnic and nationalist roots. The achievements of Europeans must be erased from memory, replaced by a new history in which every racial group feels equally validated inside the Western world. In the meantime, the rise of Asians as Asians continues unabated and celebrated in Western academia. Le Harfang: With the demographic situation, what would be a realistic alternative to multiculturalism? RD: My position at this point is that, first, it is imperative that we develop strong ideas based on the serious pursuit of knowledge and history. There must be a small group of thinkers who have learned enough to break through the confounding fog of immigrant multiculturalism and the massive brainwashing Europeans have endured particularly since the Second World War about the non-existence of races, the non-existence of a European identity, the idea that Canada is an immigrant nation, or that Europe has no continental or cultural identity apart from the rest of the world — all these ideas must be clearly understood to be false. We must develop new ideas by reading pro-European thinkers. Lenin famously said: "Without revolutionary theory there can be no revolutionary movement." We too must realize that without our own counter revolutionary ideas we will not be able to create a movement to overturn the cultural Marxist establishment and thus revive and re-energize the European spirit, the Faustian Soul of Western Man. As we develop these ideas, we must do everything to make our views available to a wider public. It is not that we need a majority of the public to agree with us; changes are always initiated and brought about by an active minority and then the rest of the population is socialized into accepting these changes. The majority of humans tend to be politically inactive. But we are currently a very small group, and we do need eventually a solid 10 to 15 percent of the population to create the democratic conditions for the overthrow of the existing regime. I believe that our ideas would be welcomed by many if only we were able to create and find more media opportunities. The ideas of the current regime are false, historically invalid, and inconsistent with the way we are naturally as human beings. For example, every ethnic group is ethnocentric and interested in advancing the interests of their own members. Only Europeans have accepted a non-centric Universalist ideology, and only they have prohibited themselves from thinking in ethnocentric terms; but with the right opportunity to present our ideas we can persuade a high number of Europeans to feel comfortable with promoting their own ethnic interests. Once we persuade 10-15 percent of them, and gain access to key media sources and work ourselves through the institutions, enough tension will have been created exposing the imposed harmony currently in place; then we can take it to larger numbers. As our ideas spread, the current regime will start to break apart; conflicts will mount, resentments will grow, more will gain the courage to speak out; the lies, repressions, and injustices will be exposed. 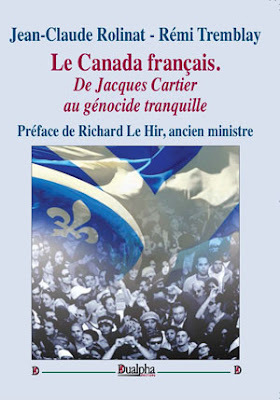 Another great interview by Ricardo Duchesne, who again hits the nail on the head on every issue. I see also that Pr. Duchesne takes an interest in our Indo-European heritage, as do I. Good on him. It truly is a shame that it has come to be tarnished by negative associations over the past century. Europeans would do well to understand and appreciate their roots. The identitarian movement and congress are good in raising ethnic awareness. Since this interview, I have come to think more about the immense importance of conservative or traditional practices. You can't have a strong identitarian movement without traditional marriages, sexual division of labor, sacred legacies, order from above, duty, rites, faithfulness. But I still have not thought out how traditionalism can coexist with scientific modernization and individual freedom. Europeans can't survive without competing in the market place, embracing science, but they also can't have a strong identity without traditionalism. We need a new traditionalism; maybe fascists have something to teach us in this regard. Fascism, in my opinion, was too bureaucratic and authoritarian. Culture in fascist Europe became so politicized that it lost its vitality, and became another tool of the state. Also, in my opinion, saying that traditional values and modernization conflict is too vague a use of both terms. The 'progressive' left of course, wish us to believe that any traditional value they consider 'outdated' is incompatible with life in the modern world, but I think it is more a question of the particular case. After all, as I believe was mentioned elsewhere on the site, most countries entered the modern era as nation-states. The biggest threats to traditionalism, besides the progressivist or cultural marxist ideology, come I think from unrestrained capitalism and centralization. In the case of the former, I don't think it can be argued that it really gives Europeans an advantage in the modern world. Division of labour, marriage, national and ethnic solidarity, are traditional values precisely because they offer a competitive advantage in the world competition. Fascism is a side issue, but worth debating. If we consider Fascism the state direction of private enterprise and labour, then the curious fact is that the West beat Germany and Italy by being more successful fascists than the fascists. Take the British, Canadian and American government purchasing agencies that directed what factories were to produce, the strict control over strategic materials, wage and price controls, rationing, control over unions, etc. etc. Germany, meanwhile, allowed the major aircraft factories to compete with each other and didn't have centralized war production control, dispersing effort and wasting money, time and material. When Albert Speer took over war production in 1943 (too late) he was horrified to find the Army had over one hundred different truck models with hundreds of thousands of different parts to make, ship and maintain. Had Germany been able to identify war winning weapons earlier, dropped failing models, and mass produced the best (like the ME 262), it would have been a far more formidable opponent. Part of the disdain German veterans felt for the Americans (and especially the British) was that while they often had better weapons, they didn't have enough of them. You can blame Nazi free enterprise for that, not fascism. You're speaking on terms strictly material. My point is that fascism is too rigid and statist to foster the growth of a healthy, organic community feeling. The problem is action. Getting a school ( the curriculum are all state or central government mandated and teacher interpreted )in Australia let alone a university that teaches the Western Canon is daunting. I have not yet evaluated the Christian schools which are private and may be interpreted more conservatively. There are only 2 private universities in Australia although another Christian university is apparently starting soon 2015. These educational institutional are pretty well lost causes to progressive thought in economics, law, education and the arts ( humanities) . I speak from personal experience as a student and lecturer. What to do to educate the next generation is my personal question? Home schooling hardly ever happens here.It would not solve the university question in any case. Europeans do not appear to unite in that same way as the progressives have over their "long march" through the inistutions. I am searching for the things that will provide unity to even a small number. Christianity appears moribund and whiteanted. Service clubs are also aging out of existence. I am trying in a small way to drum up interest in peoples family trees/ancestry hoping it will lead to bigger things and also as a way of using the women's energy. Think of it...Perhaps the home schooled student will embarrass the "cultural Commissar" right in from of their own students by pointing out the blatant double standards in their lectures. "What to do to educate the next generation is my personal question? Home schooling hardly ever happens here.It would not solve the university question in any case. " Forget private schooling; the only difference between public and private schooling is payment through taxes for the former and payment from your wallet for the latter. This "creeping Liberalism" has crept into both private AND religious schools including Catholic Schools. Catholicism is no longer a safe haven from the degeneracy of liberalism. Even the pope himself made ambiguous statements regarding homosexuality - which, for me, was the last straw when I decided to reject any and all forms of Christianity. IMHO, A return to a Pre-Christian religion is essential for a cultural revival; i.e., Odinism, which is implicitly racial and encompasses all the traits of traditionalism mentioned by Dr. Duchesne: "traditional marriages, sexual division of labor, sacred legacies, order from above, duty, rites, faithfulness. " This, I believe, is the original religion of White Europeans - it belongs to no other race but ourselves. I am very surprised by you answers, in particular your reference to Odinism as a return to more traditional values. Of course, I couldn't agree with you more, but I still am a little uncertain about how to ascertain the contribution of Christianity to western civilization, other than the Protestant work ethic and renaissance art. At the moment, I just don't have the time to do this kind of research, yet, I keep thinking that the medieval period may be the high point, at least philosophically. I also like the point you raised about home schooling. It's a little known fact, that home schooled children are highly sought after by the Ivy League universities. Apparently, the home schooled students have better imaginations, problem solving skills, and overall better ratiocinative capacities. Not surprising, considering they haven't had their minds scrambled by Cultural Marxist garbage, excuse me, I mean rhetoric.